Lakeland and Polk County Florida residents have been very lucky with Hurricane Matthew. Things could have been much worse. Here are 5 online resources to help you and your family feel more prepared and safe when a hurricane are on the horizon. FEMA. https://www.ready.gov/hurricanes. This page explains what actions to take when you receive a hurricane watch or warning alert from the National Weather Service for your local area. It also provides tips on what to do before, during, and after a hurricane. 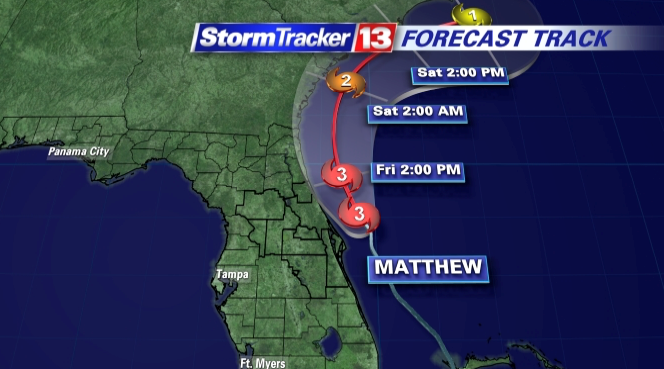 Bay News 9. http://www.baynews9.com/content/news/baynews9/weather/hurricane-center.html. This local news channel is an excellent resource to keep up to date on nearby storms. State of Florida. http://www.stateofflorida.com/articles/hurricane-preparedness-guide.aspx. The Essential Guide to Hurricane Preparedness.